SoccerBible is a digital publication that focuses on football products, culture, and design. Their dedication and commitment have helped them become the go-to resource for people that live for football. 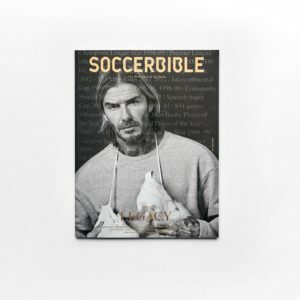 SoccerBible aims to provide unparalleled access to definitive and unique content by producing several magazine issues. Their magazines have defined a new direction by exploring the ever-evolving sides of football culture and uncovering new tastes and trends. SoccerBible is here to satisfy the sporting needs of football players and fans. The magazine’s 10th issue features David Beckham and other stories that have shaped modern football. Get your own copy at Gent Street!